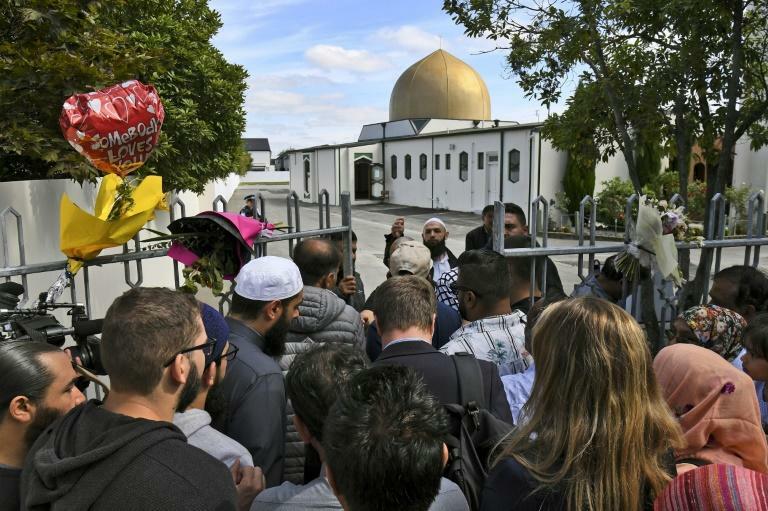 Muslims held emotional prayers inside Christchurch's main mosque on Saturday for the first time since a white supremacist massacred worshippers there, as New Zealand sought to return to normality after the tragedy. "We are allowing 15 people at a time, just to get some normality," said Saiyad Hassen, a volunteer at Al Noor, adding that there were no plans yet to fully reopen. "I could feel the bullets hitting the people and I could feel the blood coming down on me from the people who were shot," said Huzef, a Christchurch civil engineer originally from India. "Everyone wants to get back in again to give praise and to catch up. This is the central point of our community." Police cited unspecified "concerns about a person", but later called it an "innocent misunderstanding" and the concert was slated to proceed. Workers have rushed to repair the mosques' bullet-pocked walls and clean blood-spattered floors. Men and women then knelt and prayed on a padded carpet underlay taped to the floor, still awaiting replacements for the mosque's blood-stained rugs. Several members of Christchurch semi-professional football club Western A.F.C. arrived in team colours to honour three victims who were known to the team due to their interest in the sport. The players left a bouquet of flowers outside the entrance to the mosque's grounds. "We all love playing football and the best thing we can do is just to go out and enjoy it really, and obviously play for those guys that have been lost and think about them while we are doing it," said team member Aaron McDonald, 20. The mosque's imam Gamal Fouda arrived draped in a New Zealand flag. 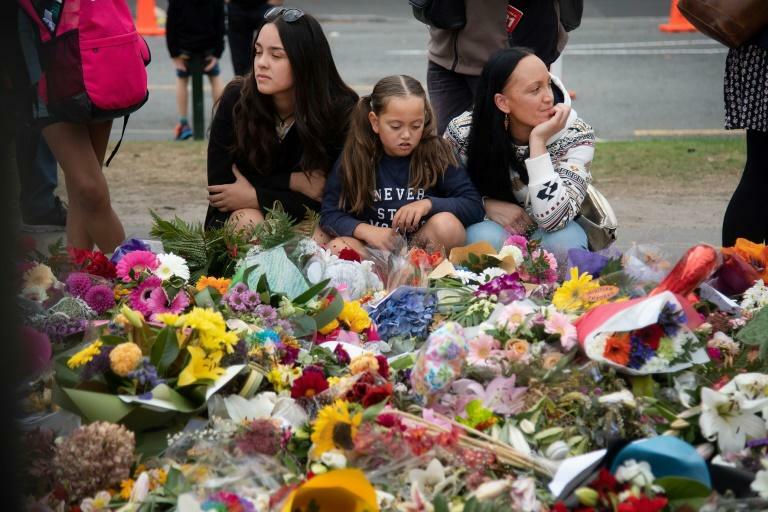 The day before, Fouda delivered an impassioned memorial service at a park next to the mosque that was watched globally and in which he praised "unbreakable" New Zealand for uniting in the tragedy's wake. Around 2,000 people gathered Saturday at the same park to join a "March for Love" procession through Christchurch. The grief-stricken mother was found Saturday morning having apparently died in her sleep, just hours after her son's burial, of what police called a "medical event". 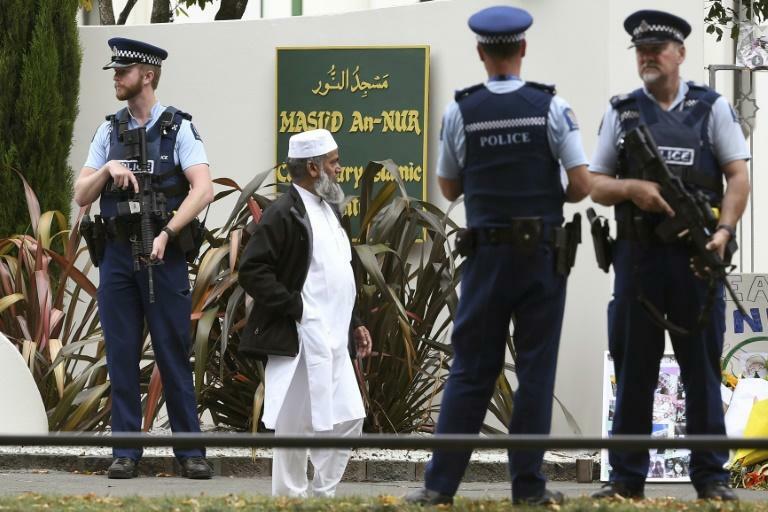 New Zealand, which has already charged two people for distributing the gruesome livestreamed video of the attack, has now also made it a crime to share the alleged killer's "manifesto", local media reported. In the document, Tarrant says the killings were in response to what he termed a Muslim "invasion" of Western countries. "Others have referred to this publication as a 'manifesto', but I consider it a crude booklet that promotes murder and terrorism," Chief Censor David Shanks was quoted as saying.